Confused about how to cancel your steam account. here is the solution on how to cancel steam account. Steam is basically a program that enables people to gain access to more than a thousand computer games. Using this program, it is easy to download different games inside your computer and play them conveniently via your Steam account. It happens that as time passes, you lose interest in playing games on this program or you may want to free up space on a computer. Due to such reasons, you may need to delete steam account. The steam library may consist of expensively priced games and they may be lost when you pull the plug. Sometimes it happens that there is a game inside your Steam library which you do not play often. It may be due to random choice without any wise thought. There is no need to worry in such cases because now you can effortlessly delete games from your steam library. You just need to think once whether the game is really unwanted. This is because the process of steam account deletion is actually permanent, and you will certainly lose access to each and every Steam games bought by you. It is good that you have learned how to delete your steam account but you need to think about whether you need games or not. First of all open Steam on your desktop or laptop and tap on the Library tab shown in the top menu. Now you have to right-click over the game which you wish to delete and then click on Uninstall option. When prompted whether you want to delete the game files, click on Delete option. After that, you need to iterate the procedure to uninstall other games from the Steam account. It is important to note that you are always able to download such games in the future without paying again. Steam always recommends that you should uninstall the particular game you need to delete from the Steam application prior to eliminating it from the account. When you don’t do this, you will see the game present on the hard drive and then you need to uninstall it manually. You need to rethink about the deletion of Steam account because you may need to use Steam in future. The alternative option is the uninstall process of Steam on the computer. In this way, you will be able to take a temporary break from the Steam gaming. Initially exit Steam and after that click on the Windows start button. Next, you need to tap the Control Panel and after that select the Add or Remove Programs option. Once this is done, click on Steam option shown beneath the installed programs list after which you need to select the Change/Remove option. When you are prompted about how to uninstall, choose Automatic. Finally, click on the Next and Finish option to uninstall the Steam account. First of all exit the Steam app and finally tap on the Finder app shown in the bottom menu bar of your Mac. Select the Applications folder shown over the right pane of the screen and after that just right-click on the Steam.app icon. In this step, you need to select the Library item shown below the subfolders. Now double-click over the Application Support folder present inside the Library and finally right-click over the Steam folder. In this last step, click on the Move to Trash option and then right-click over the Trash icon of your Mac and choose Empty Trash option to finish the uninstall process. 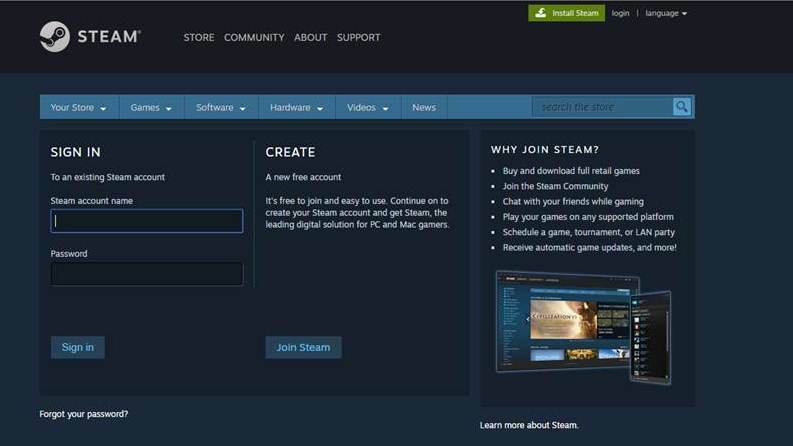 Finally, you will be able to clear confusion on how to close a steam account. Before deleting your Steam account, it is important to note that the account deletion is permanent but you are able to cancel the deletion in 30 days of the request. if you change your mind. Don’t worry about how do I delete my steam account, simply go to the – link and log in to your account. You need to click on the Support link shown in the top menu and after that click on the Account Issues which is followed by the Manage Account Details. Now you need to scroll down the account page and then tap on the “Delete my Steam Account” and after that tap on Proceed to Account Deletion. Many people may ask you about can you delete a steam account and during such cases, it is best to follow the above process. You can get rid of unwanted Steam account and can save the storage space. Arpit Singh is a Digital Marketing consultant and a Passionate Blogger from Noida, India. He is also an Author and Trainer in the field of Digital Marketing. He blogs about digital marketing tips and tricks at his blog digitalseoguide.com. Learn more about him at About us page. Digital Seo Guide Copyright © 2019.